84% businesses say that AI will give them competitive advantage. 23% say that they’ve currently incorporated it in their processes or service offerings today. These stats come from Diane Black, Director at E&Y, speaking at Datatech’s conference last month. Two points arise from this. First that the potential of AI is being thought about in most businesses, (if it isn’t in yours then you need to think hard). Second that if your business hasn’t incorporated AI, despite your strategies, you’re not alone. It is clear from the other examples at the conference that there’s plenty of ways in which AI already is transformational. Customer interaction with their high street banks has changed enormously for instance in the last 5 years as AI enables better fraud detection and saves time. AI beats humans in gaming; facial recognition; natural language skills; healthcare diagnosis; predicting behaviour and even emotional intelligence. Yes, AI is better than people in emotional intelligence too, at least in some aspects of what’s included in EI anyway, for example AI is better at spotting a lie than a person is. So AI is still developing, but isn’t transforming every business as much as it could. A bit like electricity. Up until about a hundred years ago, the new-ish technology of electricity failed to make much headway in business. The dynamo, or electricity generator, had been around since the 1830s. But until 1910 most entrepreneurs were still using steam to power their factories. Those innovators who did install electric motors were disappointed with the cost savings and efficiencies. According to Tim Harford the reason for this was that most of them were simply replacing the steam engines with electric motors and using them in the same way. The simplest way to update the factory was of course to use electricity to power the same factory processes as the steam engines had done. 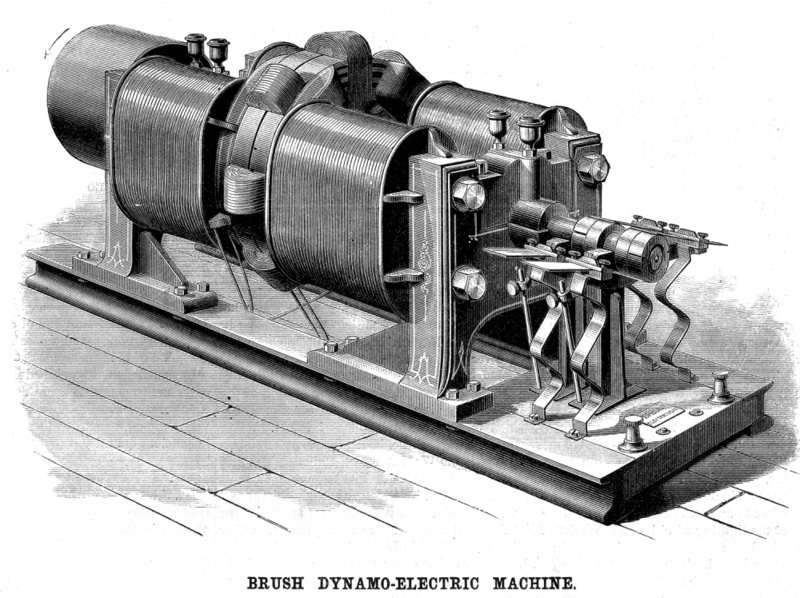 But electric motors were much more than this. They had potential to revolutionise the entire factory process. Electricity could be safely and simply delivered where it was needed in a way that steam power cannot – it has to be one central source of power – whereas electricity can be everywhere. So the old factories had to be arranged around the central power steam source, and were crowded, dark and dense. Steam set the pace, not the factory workers. Electricity is safer, cleaner, more flexible. To reap the benefits however the whole factory structure and the way everyone worked had to be ripped up. Most factory owners were initially reluctant to change everything at scale and sacrifice the old ways of working to new-fangled methods. It wasn’t possible to run a small test and learn and reap the benefits gradually. For significant improvements, everything had to be re-imagined. Old rules abandoned. Hierarchies ripped up. Some old expertise became useless. New experts emerged. Eventually, decades after the invention of the dynamo, this happened and factories hit new peaks of efficiency and productivity. An external event prompted this change, as travel from war-torn Europe meant more migrants and a radical shift in the availability of cheap labour and different kinds of expertise. This altered the dynamics of the economy in unexpected ways and re-distributed skills and ideas. – UK businesses need wholesale change to benefit, rather than just plugging in to existing ways of working. – Brexit may provide the external impetus to step-change or challenge the speed of adoption in the UK. Working “BAU (business as usual)” with added AI won’t deliver real competitive edge. Radical re-thinking is necessary. This entry was posted on Thursday, December 14th, 2017 at 10:53 am	and is filed under MediaComment. You can follow any responses to this entry through the RSS 2.0 feed. You can leave a response, or trackback from your own site.